We are heading out for a tour through Germany in February. Can’t wait to play all these fine venues and cities with the band. Find tickets here. A few months ago in Japan after a heavy storm it was so beautiful out we decided to film a quick, acoustic version of ‘Take Shelter’. We recently recorded a session with The Influences, click here to watch us play a Vampire Weekend and Bruce Springsteen tune and read about the music that has shaped me over the years. We were on tour in Japan in October with our good friends I Am Oak, here’s a little video documenting our trip. Noisey have just premiered my new video for 'Tors' which I recorded as a bonustrack for the Japanese release of 'Cousins'. The video celebrates this release and the fact that we are heading to Japan in September for a run of shows with I Am Oak! Check out the dates here. I'm very proud to present the new video for 'Host', directed by Martijn Bastiaans and starring Hilde Segond von Blanchet. Very happy to share this live video of 'Actor'. 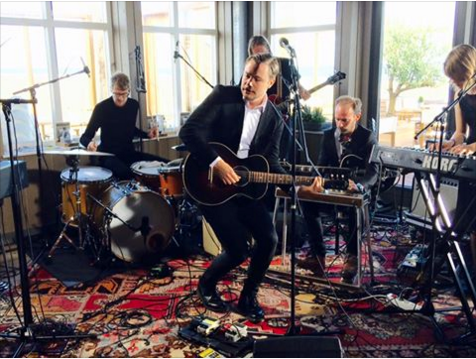 While we were at Into The Great Wide Open festival earlier this month, we recorded a session for Vrije Geluiden and 3voor12. Watch it here. My latest album, 'Cousins', has been shortlisted by 3voor12 a long with five other albums for best Dutch album of the year. Read more here. Last friday we played Lowlands festival, watch our entire performance above. 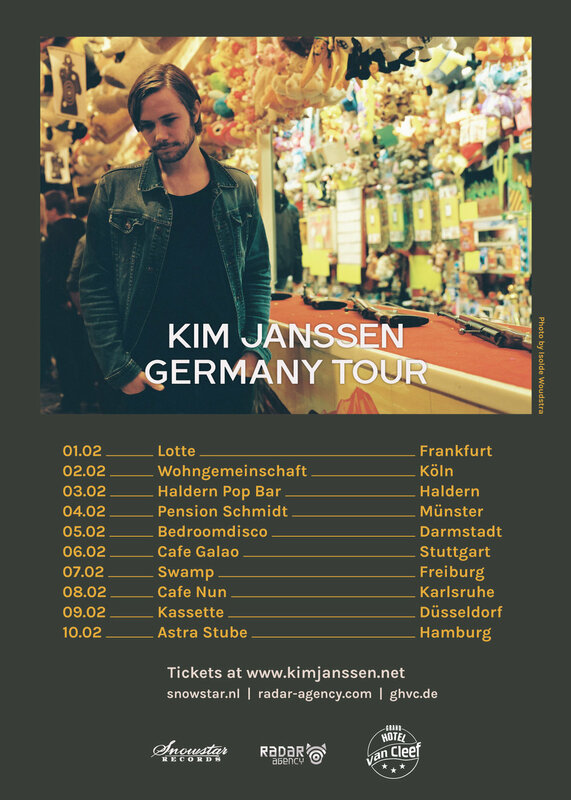 I will be touring through Germany with the band in December. Find the dates and buy tickets via the 'Shows' section on the site. The music video for 'Rama VI' is here! It stars Sallie Harmsen (Blade Runner 2049) and was produced and directed by yours truly. Last weekend we played Best Kept Secret festival. 3voor12 recorded our performance, watch a few songs above. I'm very proud to present our music video for 'Gouldians'. Directed by Wouter Stoter, it shows a 6-second time frame repeatedly viewed from 18 different angles. On friday, the 28th of April, I made my live debut on Belgian National TV. It was an honor to be a guest on 'Culture Club' (Canvas). Watch us play 'Dynasty', which was broadcast during the program, and 'Gouldians', 'Rama VI', 'Cousin', and 'Bottle Rockets', which we played after the show for the studio audience. Thrilled to be playing Lowlands this summer! 'Cousins' is out in Japan! This is my first Japanese release, I couldn't be more thrilled. We have exclusive artwork and a bonustrack, follow the link for details: https://goo.gl/NXhSiy. 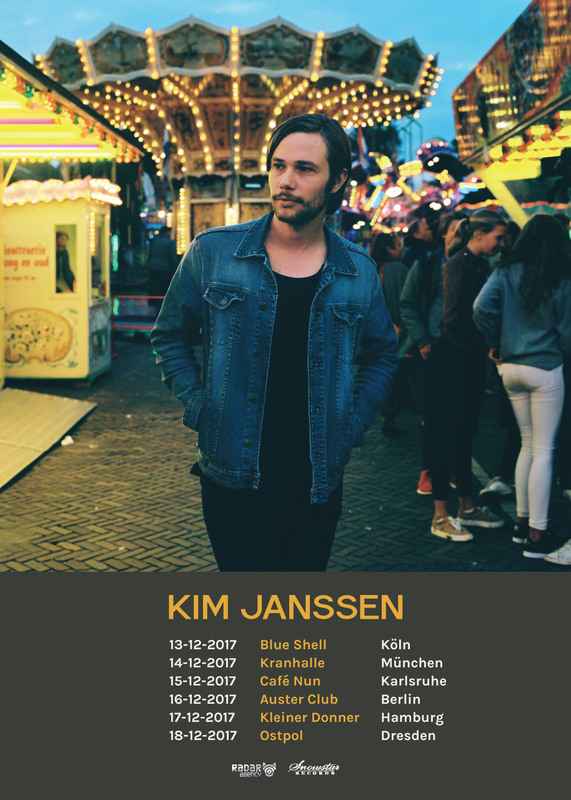 I'm so pleased to announce my very first Dutch headlining club tour! I've been going to most of these venues for years and I can't wait to bring the whole band/orchestra to each of them for these shows. I am so thrilled to announce that 'Cousins' is out today! Please have a listen on Spotify or order the deluxe LP or CD formats here. Last night the band and I played, 'Dynasty', live on national television.